Dear Santa… it has been a while since I wrote you a letter, I apologise for that. You see, growing up is a strange thing. From being small and open-minded, believing that absolutely anything could be possible… to growing older and not noticing your mind slowly closing and your thousands of beliefs turning into just hundreds. As a little girl, I believed in you and every Christmas that I ever had was magical and heart-warming! I would receive presents from my family and friends and there would always be one signed from you and Rudolph too. I remember the feeling of pure excitement when I realised that you had been. I would leave food out for you and the reindeer on the night of Christmas Eve along with a letter wishing you a Merry Christmas and thanking you in advance for my presents on Christmas Day. When Christmas morning arrived I would run straight to the fireplace, as fast as my tiny little legs would carry me, just to see if you had eaten the food and responded to my note. 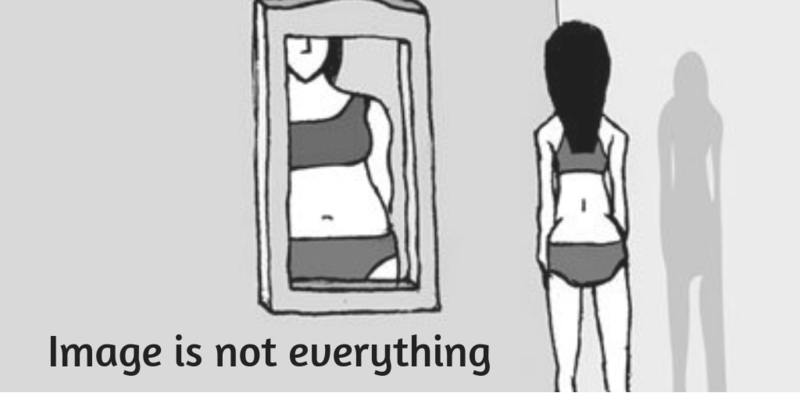 You would always leave a tiny bite of food and say that you couldn’t possibly have eaten it all because you wouldn’t be able to eat the food that other boys and girls had left out for you. As I got older, I slowly began to realise that the handwriting on the notes you would leave was very similar to my Mum’s writing… No one ever came out and told me that you weren’t real, I guess I just grew out of it? But I think that is the best way because I had years of magical Christmases and I was able to take part in the fun myself when my little brother came into the world! I would still leave food out for you, knowing that me, my Mum or my Dad would be the ones to eat it after my brother had gone to bed! I would still spread reindeer food around the garden so that you could find your way to us if the weather was not good. I would still read ‘Twas The Night Before Christmas’ on Christmas Eve and get excited for the day ahead of us. I even continued to leave you letters, knowing it was my mum writing back to me. Despite knowing all of these things, Christmas has still felt magical for me. I think that is because I grew out of my belief in you rather than being told by other children or by my parents. Even though I know that you do not really bring presents on Christmas Eve, I still go to bed full of excitement, joy and love. I hope that the myth of you continues to spread joy and laughter to little ones across the world for many years to come. I want to thank you for being present in my life through my parents. I have so many fun memories that bring me butterflies to this day and they will be with me for the rest of my life! I cannot wait to introduce my future children to you and make their Christmases magical as my parents did for me. Christmas has always been about family for me! 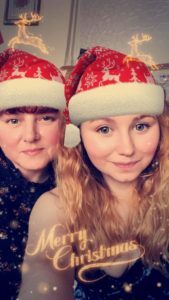 I have so many amazing memories from Christmas over the years, so I thought with Blogmas being in full swing, I would share some of my favourite memories with you all! 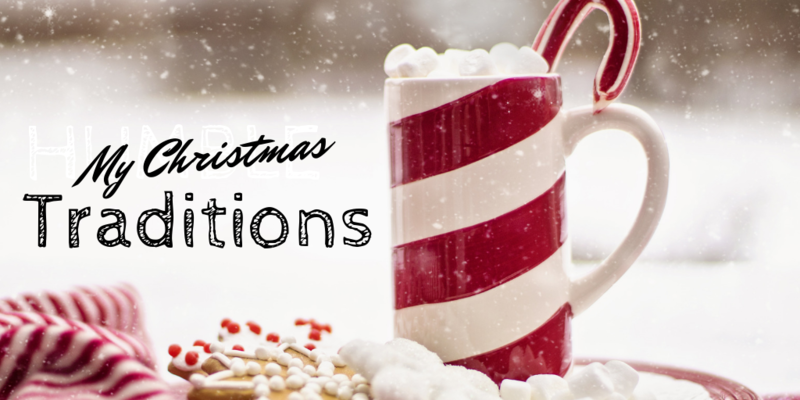 Please feel free to share your favourite Christmas memories in the comments below! 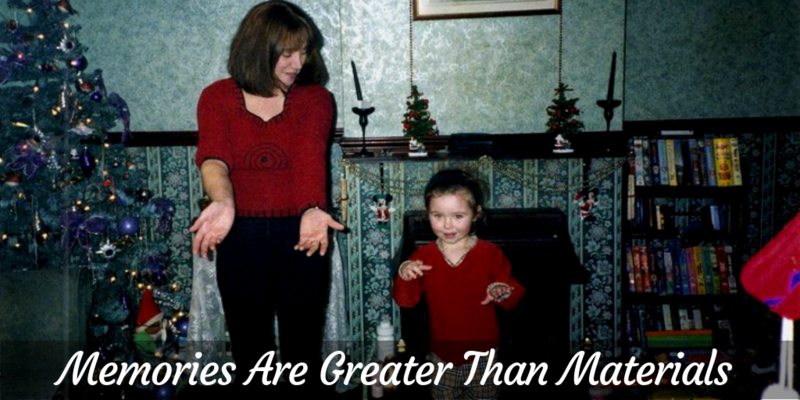 So as you can see from the header image, I remember dancing at Christmas time (most years to be honest!) 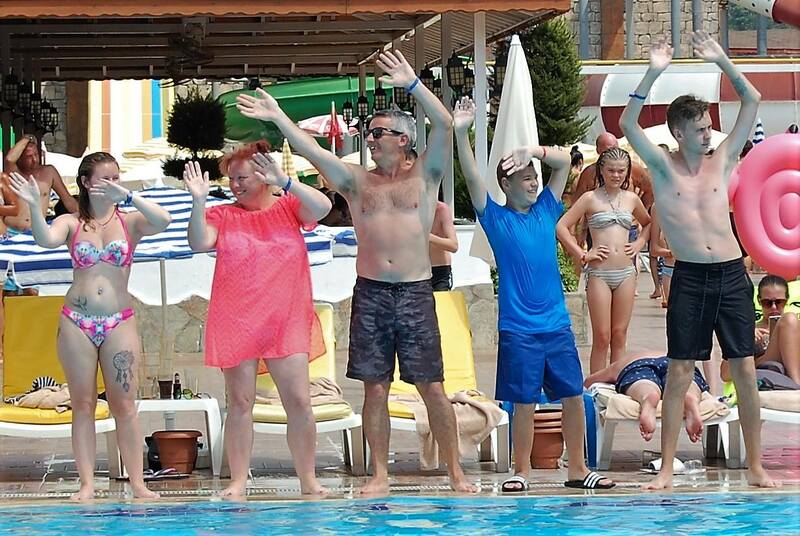 In the picture above, you can see my beautiful mum teaching me the macarena! 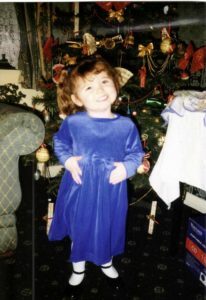 I also remember one year when we were decorating the Christmas tree and we had one of the music channels playing on the TV and I remember it playing The Ketchup Song and S Club 7’s Reach… I was standing on the couch dancing away whilst putting hanging baubles and candy canes up on the tree! We then found a good Christmas music channel and continued dancing around the tree! I also remember spreading ‘reindeer food’ in the garden to help Santa and his reindeer find their way to my house on Christmas Eve… me and my little brother would do this every year! But he is too ‘grown-up’ for that now! We would also leave food and drink out for Santa, and write a letter to him and when we would wake up on Christmas morning there would always be a reply! I used to love watching our old dog Pandora (the Dalmatian) open her presents! She would rip off the wrapping paper and then chew right through the packet or her present so that she could take out one of the tasty treats and take it to bed with her. She was so cute! My mum and dad also have lots of pictures from me visiting Santa each year as a kid! They always make an appearance at Christmas time. Some of them are super embarrassing but the memories are priceless. I used to love going to my primary school Christmas Fayre each year too! 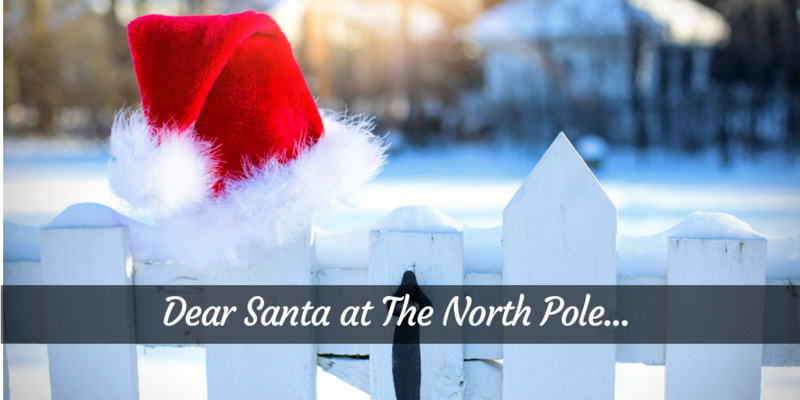 There would be different stalls set up in each classroom, from tasty treats and refreshments, to teddy bear stalls, Christmas decorations, raffles, arts and crafts and of course a Santa’s Grotto! It was always fun seeing all my school friends and their families there and all the money would go towards the school funds or sometimes towards a chosen charity! Also in my school days, we would go over to the local care home to sing Christmas carols each year which was always such a heartwarming occasion. It was so nice to see smiles spread across the elderly people’s faces and they would always be so happy to see us and would cheer for us to sing more. Afterwards, we would have juice and biscuits with them and have some lovely conversations. And we cannot forget about our annual school nativity play, can we? I used to love being part of the nativity plays each year, though I am pretty sure my Mum and Dad were sick of watching them by the time I left school… and then they had my little brother’s nativity plays to enjoy! I remember when I was in year 5, I was given the part of The Angel Gabriel and I had two solo songs to sing in the play. I was the youngest pupil to have played a main role in the nativity, so my parents were super proud… in fact I am sure they bought the video of the performance that year! As I got older, I thought my Christmas cheer would fade away… but it never did! I am still a huge kid when it comes to Christmas! I love it so much. I remember waking up at 6:30 in the morning and being way too excited to go back to sleep (I must have been 16/17 years old. I didn’t want to be the one to get up first, so I was trying really hard to wake my little brother up from my room by throwing things at the wall! It worked eventually and we all got up… the year after that I woke up early and decided it would be funny to stand outside my brothers room and scream ‘DO YOU WANNA BUILD A SNOWMAN?? ?’, the reply I got was not what I expected… ‘GO AWAY I AM NAKED!’ – Though it did make him get out of bed and get dressed to come and open presents haha. I remember years of Christmas dinners at my Grans house and my Grandad shouting ‘Here you are dogs!’ before throwing the leftover meat over his shoulder for them to eat… the year he passed away (2007) we were sat having dinner and suddenly my mum shouted ‘Here you are dogs!’ and she threw some meat across the room… we all instantly began laughing and it really lightened the mood and boosted our spirits. I could go on forever and a day talking about my Christmas memories as they have all been wonderful. In 2016, Jacob proposed to me on Christmas morning too! It was really sweet, he knows how much I love Christmas so he definitely picked the perfect time to pop the question. Definitely a memory I will have forever. I have celebrated Christmas is the same way for as long as I can remember and I absolutely love it. Christmas Eve and Christmas Day! On Christmas Eve we would get a nice hot bath or shower and put on our nice new pyjamas! Then we would spread reindeer rood in the garden to help Santa and his reindeer find their way and then we would leave food and drink by the fireplace with a handwritten note wishing Santa all the best. Then me, my mum, my dad and little brother would all sit on my brother’s bed and read Twas The Night Before Christmas together before going to bed to sleep. 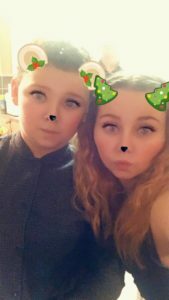 I loved these little traditions, sadly these are the ones we do not tend to do anymore with me being 22 and my little brother being 13! However, there are many things which have remained the same! Every year on Christmas Eve, Santa leaves present at the end of our beds or just outside of our bedroom doors, ready for us to find in the morning! When we wake up, we take our presents into Mum and Dads room, sit on the bed and open them up! When we have done that, my Dad goes to the living room and puts the fire on and starts making tea and toast for us all. Then when we follow him into the living room we are greeted with two separate piles of presents, one for me and one for my little brother. We wait for my Dad to come and sit down before we each dig into our gifts. After all of our presents have been opened, we go and get dressed and ready to visit my Nan’s house! We always pick a present to take with us to show her. When we get there we exchange gifts and sit and have a good family natter before heading to my Grandma’s for Christmas Dinner! After dinner, we play games and tell those awful Christmas cracker jokes! We often have a fun Christmas themed quiz to take part in too! At the end of the day we head back home and put on our cosy PJ’s whilst watching Christmas shows or movies on TV before heading to bed. Boxing Day is always great fun! My Mum and Dad make dinner for the family while me and my brother take a closer look at all of our presents! Jacob comes and spends the day/night with us too, so when he arrives we have more presents to exchange! We always have lots of yummy snacks to pick at before our main dinner is served. We eat dinner and pull crackers around the table, sharing more terrible jokes and engaging in fun conversation… but after dinner is when the fun really starts! When we have finished eating, my Mum presents us with more wrapped up gifts… now we have all become familiar with this concept so we are always aware that these gifts are jokey gifts! From tiny wind up toys to mini-puzzles… we never know what they are going to be! If we have wind up toys, we always have a race with them like a bunch of children and if we receive puzzles we have a competition to see who can complete theirs the quickest! It would not be Christmas without a bit of family competition! Afterwards, we play games and stick the karaoke on whilst enjoying a couple of drinks and having a laugh. Another great day celebrating with the family. For the first time, my Christmas Day is going to be spent in a different way! I have been with Jacob for almost 8 years now, and we have never spent Christmas Day together. This year we are both going to his Auntie Donna’s for dinner with his Dad’s side of the family. I will still be waking up in my house on Christmas morning and visiting my Nan beforehand though, which will be nice! 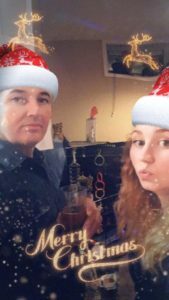 I am looking forward to having dinner with Jacob and his family, it will be nice to see what their Christmas Day consists of. It will also be nice to see the little ones playing with their toys and celebrating with them. It is going to be a tough year for us both this year, as Jacobs Nan passed away in February and my Grandad passed away in March this year. This is part of the reason why the two of us are spending the day with Jakes family, as it will be the first Christmas without his Nan being there, so it would be nice for us all to come together for each other. I have never had Christmas Day dinner with my Nan and Grandad, so it is a little bit different for me. 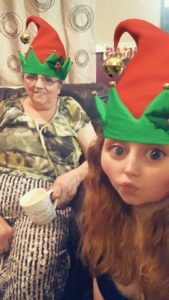 Although it will definitely feel strange visiting my Nans house on Christmas morning and exchanging presents without him being there. 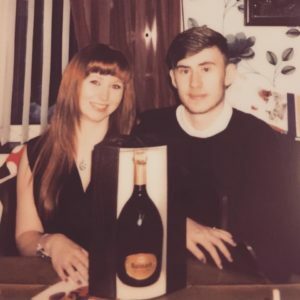 But both me and Jake have strong families and we come together at times like this and we make sure that we still celebrate things like this in the way that our loved ones would have wanted us too! So I am sure, despite everything, we will make the most of the Christmas Holidays together. 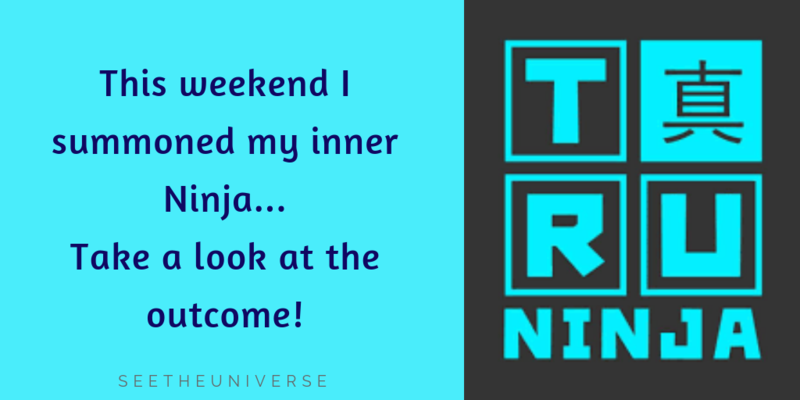 So last weekend, me, Jacob, my dad and my little brother all went to TruNinja in Warrington with my little brother’s football team for an hour of expressing our secret ninja-like skills! It is safe to say, the kids definitely showed us, adults, how it is done… don’t think I have ever felt so old! But we did have a good laugh in the process, so all is well and good. 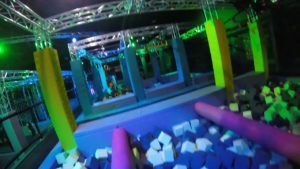 The hour was spent running around and attempting fun and challenging obstacles allowing us to show our competitive sides as well as building on team skills and helping each other through the obstacles! There were plenty of encouraging words being shouted to one another as well as lots of laughs! Now looking at the pictures, the platform does not seem to be that high… but I assure you, once you are up there it feels much higher! 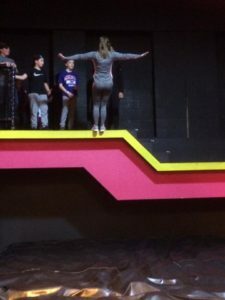 I decided to be brave and let myself fall backwards from the ledge… my heart was in my mouth and I think I left my stomach at the top somewhere! It gave me such a strange feeling, but at the same time, it was also quite thrilling! Before I knew it, all the kids were dropping backwards from the ledge and their faces, when they landed at the bottom, was a picture! The place itself was not that big, but there was plenty of fun to be had there. Great for children’s parties or fun days out during the school holidays! The kids were much quieter on the bus coming home than they were on the way there that is for sure. 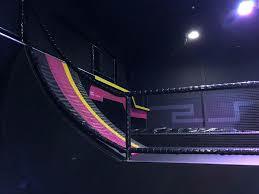 For one hour in the Ninja Arena, it will cost you £9.00 per person. For the adults who do not feel like taking part, there is a nice little cafe upstairs where you can purchase food and drinks! There was not a huge choice for food, but the kids had pizzas which were delicious and Jake had some noodles which were tasty, although the portion size was a little lacking. 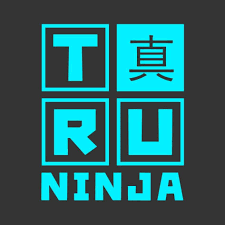 TruNinja currently has two locations, Warrington and Stoke, however, they are opening two more venues in Wigan and Bristol in the near future! This was definitely something different for us and I would consider doing this again in the future! 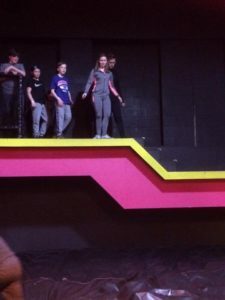 In the middle of all of the fun and games, the biggest kid of them all (my dad) managed to break his foot… He was about to attempt the run-up wall when his foot gave in on him and went on its side, resulting in a nasty break! I highly doubt the football team mums, dads and of course the kids, are going to let this down any time soon! There was plenty of banter at his expense on the way home. So that was what my Saturday afternoon consisted of! How was your weekend? 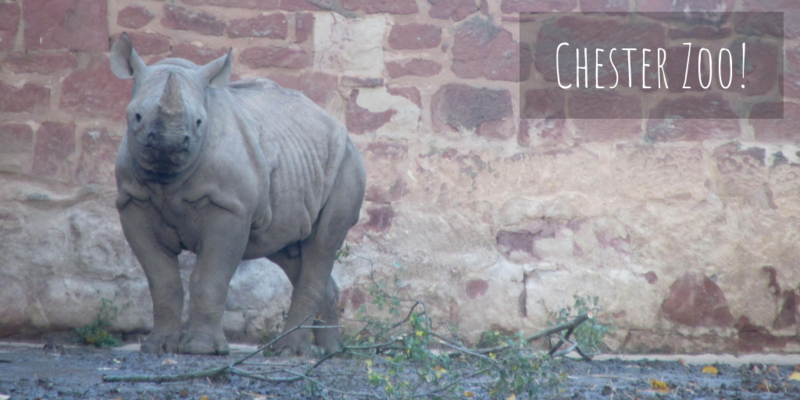 Our Trip To Chester Zoo! Yesterday (Saturday 10th November), me and Jacob took a trip to Chester Zoo! I hadn’t been for a few years and I used to love it as a child, so I was super excited! When we arrived we collected a map from a very welcoming member of staff at the entrance and sped off to go and see what we could find. When we reached the first enclosure we saw a beautiful family of Asian elephants, two youngsters and two elders. The two little ones were playing with one another and chasing each other around, it was very sweet to see them so happy and playful, especially after the heartbreaking loss of two young elephants in October. As well as seeing lots of monkeys, we also saw some adorable bears! My favourite bears were the adorable Sun Bears. 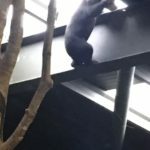 I had read about these amazing little bears before visiting the zoo. A male and a female were rescued from Cambodia after their parents were killed and they were taken and mistreated as pets. 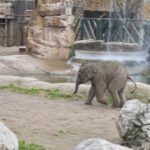 They arrived at Chester Zoo in 2015 where they were cared for and loved and the incredible staff nursed them back to health. The two bears mated with one another and their sweet baby bear cub Kyra was born in June this year! Sun Bears are the smallest species of bear and little Kyra weighed just 400 grams at birth! We had been watching her for around 15 minutes when she finally managed to get herself onto a branch and make her way back to the ground! Everyone cheered for the bear cub and watched as she ran over to her mother for comfort. The two bears had such an amazing bond, they were playing with each other in such a sweet and caring way before Kyra decided she was hungry and latched onto her mother for some milk. Watching them together was incredibly heart-warming, I just wanted to get in there and cuddle with them both! To think that these amazing creatures are endangered is just so sad… I will never understand how anyone can be cruel to animals. 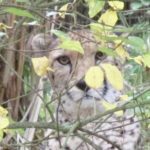 When we passed by the cheetah enclosure, it took me a moment to spot him/her! 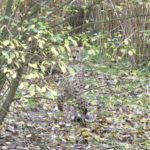 The big kitty was sat amongst the trees and the foliage and blended in rather well! 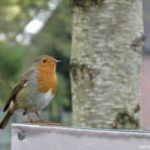 He/she was sat in such a proud position, watching all of the people on the bridge looking down at him/her. The incredible creature was looking right at me (probably thinking about eating me for lunch!) and I was mesmerised by his/her wide golden eyes. I have also seen big cats as such majestic animals, so beautiful, so clever, brave and strong but they also seem to have a playful side to them too! I could have stayed on that bridge watching this stunning cheetah all day long… but we had other animals to visit. 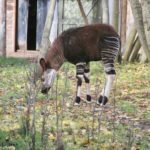 Next to the giraffe enclosure, we found okapis… for some reason, I absolutely love these animals. I don’t know when I became so fond of them, but I think they are simply adorable! To make our visit even more amazing, there was a sweet okapi calf exploring her outdoor enclosure! The part that I was the most excited about was visiting the bat enclosure! I used to love this when I was younger and I would easily spend over an hour in there, watching the bats fly around, some of them coming so close to you that you can feel the air on your face as they swoosh past! Jacob was not 100% convinced that heading into this free-fly zone was for him… but I managed to twist his arm into coming in with me! He was a little bit jumpy, but overall I think he realised just how amazing these creatures are. I would have stayed in there all day long if I could, but there was still so much for us to see! 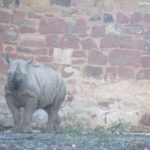 We headed over towards the rhino enclosure where we found a beautiful baby rhino spending time with his mum. 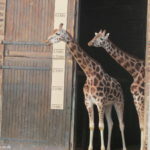 Everyone was very quiet inside the enclosure, making sure not to frighten the youngster. 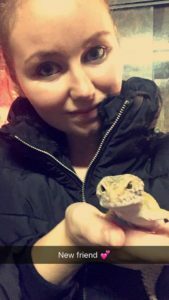 I was smitten with the little guy! Jumaane was just 3-4 months old and was absolutely gorgeous. Such amazing animals. 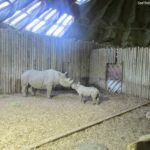 It is always nice to see how such large, intimidating and potentially dangerous animals being so tentative and caring with their babies. This is something that has always interested me… seeing how wildlife animals act with their babies, finding out how they bring up their young, learning about how they survive in the wild and realising how unbelievably clever they are, is simply amazing. Every animal is so different, yet so clever in their own individual ways and being able to see such creatures up close, is just breath-taking. Near to the rhino’s, we spotted the meerkats! I love these little animals, they are so full of energy! Running around chasing one another climbing the rocks in their enclosure. They remind me of my youngest dachshund Lola as she is always sitting up on her back legs like a little meerkat! The Penguins definitely made me smile during our visit! 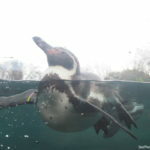 There was one little fella who was loving all of the attention from the visitors, following their hands on the glass and swimming around in front of everyone. I managed to capture a picture of him looking pretty happy in the water! We hovered near the tiger enclosure for quite a while in the hope to see one of the beautiful majestic animals… just as I was about to walk away, one of them came out of nowhere and walked proudly across a log on the ground, right in front of the glass window! I wasn’t quite fast enough my camera and missed her/him… but it was incredible! When we visited the lions, they were eating their lunch! We saw two females and one male, all laying down in different parts of their enclosure, enjoying their food. A cute little girl was with her dad next to us and she said ‘look daddy! There is Nala… she is eating ice cream!’ This made me laugh as if that is not my future child I do not know what is… The Lion King is and always will be my favourite Disney movie. I could go on and on talking about all of the individual animals that we saw at the zoo but we really would be here all day! It was a lovely day out and I really enjoyed it, though I was a little disappointed that we completely forgot about all of the amazing animal talks and feeding times that we could have listened to. 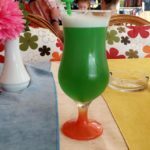 Although we did go on the Lazy River Boat trip around The Islands which was nice… it was a little bit chilly during our visit so we didn’t see many animals from the boat, but I am sure on a bright sunny day we would have seen more! I was amazed by the sloths… I have always thought that sloths are just adorable! We were walking through an indoor enclosure when Jacob spotted two lazy sloths who were sitting above our heads! I never knew we could walk through the room that the sloths were in, I thought you had to look at them through glass windows, so it was a cute surprise! 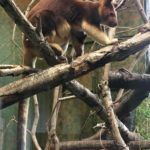 Another animal which I was amazed by, was the Tree Kangaroo… This was something that I had never even heard of, let alone seen! It was one of the cutest animals that I have ever seen. It was sitting in a tree looking at all of the people through the window. I have never seen anything like it, I wanted to cuddle it, it was that cute! At the end of our trip (we were there from 11 am until closing time at 4 pm, but could easily have stayed longer!) we headed to the gift shop to find ourselves some souvenirs. 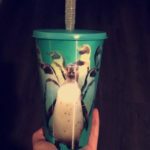 We had already purchased a penguin cup for £9 at the start of our trip, as these came with unlimited refills on any soft drink throughout the day. When we arrived at the gift shop, I picked myself a cute little sloth teddy and a polar bear bracelet. 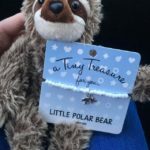 I was looking for a bear bracelet as a reminder of the adorable baby bear and her mummy, but they didn’t have any… so the polar bear was the closest alternative! Jacob picked a little sloth teddy magnet for his mini fridge in his bedroom; so we left with cute matching sloths! Overall we had a really great day, there were lovely staff members on hand giving information about the animals and making everyone feel welcome, and the animals were incredible! 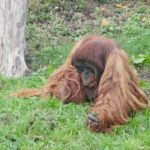 I just want to say a huge thank you to all of the amazing members of staff at Chester Zoo who work so hard to make sure that all of the animals are well cared for and well looked after, all of you make such a huge difference to the lives of these amazing creatures and should be so proud of all that you do. Visitors can see just how passionate each member of staff is towards the animals and it is really heart-warming to see. So thank you for saving many endangered animals, for trying to keep so many species alive and showing so much love and kindness. You are all wonderful people. Baby Kyra trying to climb down! Things That I Am Looking Forward To! There are actually quite a lot of things that I have to look forward to when I really stop to think about it! We have Halloween around the corner… Me and Jacob have been doing Sober For October, raising money for the incredible Macmillan Cancer Support Charity (you can donate here! ), so we are looking forward to going out on Friday 2nd November for our Halloween night out! I am excited to try out Halloween makeup ideas and deciding how to wear my costume on the night. 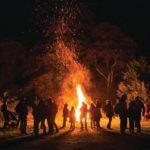 Then we have Bonfire Night coming up! I am hoping to find a good firework display nearby for me and Jacob to go to, something fun and different compared to setting off our own fireworks in the garden. I am super excited to start Christmas shopping too. 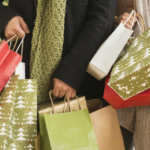 I know a lot of people hate the mad rush in the shops around Christmas time but I really love it! I love all the little Christmas markets, the smell of mulled wine and fresh doughnuts filling the air and I love picking out presents for people! Christmas is so magical and lovely, I can’t wait to start my Blogmas posts! Heading into 2019 I have 2 weeks off of work in the January and 1 week off in March after my birthday, so I am hoping to book a hotel for one of the weekends that I am off, somewhere different for us to explore and enjoy. Me and Jake have not had a weekend away together, just the two of us, for a long time, so it will be nice to do something nice together. 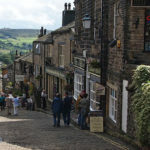 I love going to new places, especially cute little towns and villages that have unique little shops to mooch around in. 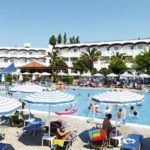 I am also looking forward to our holiday to Greece in June! The hotel we are staying at looks lovely and the thought of sipping cocktails on the beach in the sun with the man I love is simply perfect. 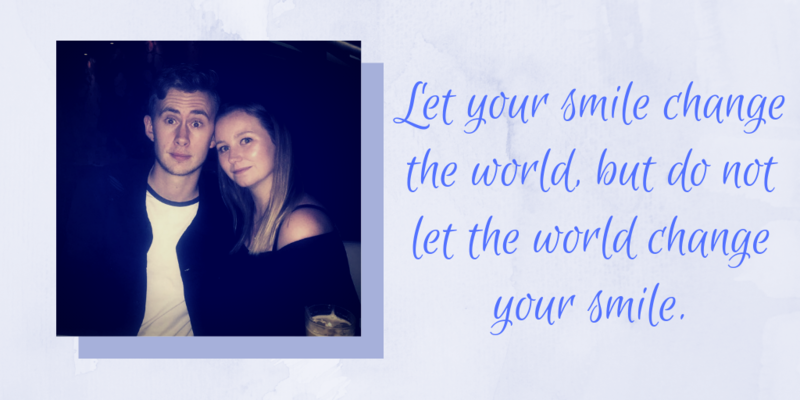 It is not just the two of going away either… we will be with Jacobs family, it will have been 2 years since we went abroad together as a group, so I am sure it will be really fun and enjoyable for everyone! We are all putting £1 a week into a tin so that we have a group fund to pay for a day trip of some sort while we are over there… so it will be exciting to see how much we have saved, then we can sit down and decide what kind of trip or activity we all want to do together! This is a short post but a positive one! 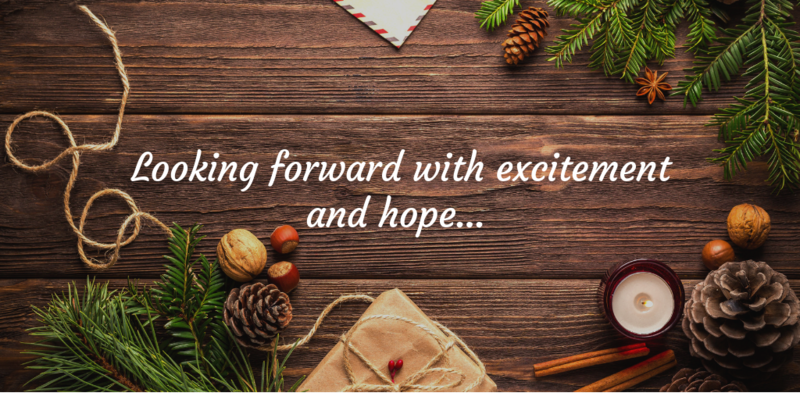 I would love to know what you are looking forward to, so leave a comment below! This is going to be a personal one! I don’t quite know where to start with this one… my life is a complicated one. People who look at it from the outside think it is a good, happy life… I mean I recently graduated university and have my future all planned out, what else could I want right? Yes, I graduated, but I was 2 marks off of a 2:1 and most companies that I would like to work for and training programmes I want to apply for require 2:1 or above… which is ridiculous. 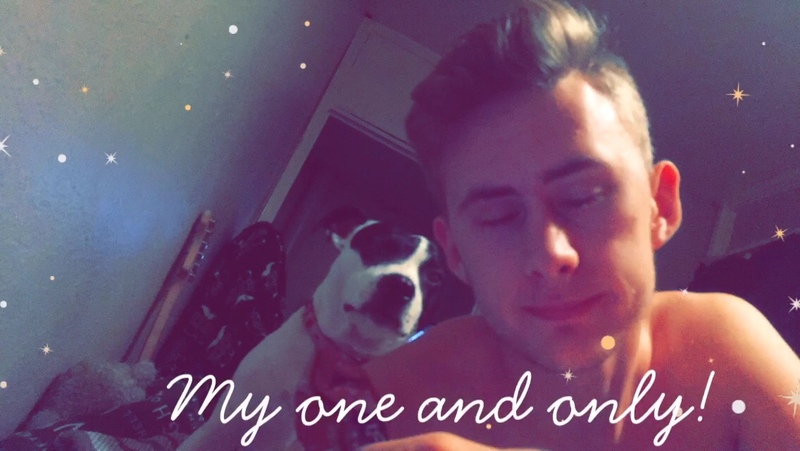 Those of you who know me will know that I want to go into mental health social work, helping people in various situations and supporting them to get back on their feet as well as looking to see if there are any other factors within their lives that I can change in order to better their mental health. Social work would be a tough job, with each case being unique but it will be such a rewarding job, being able to be a part of turning people’s lives around for the better. I know that not all cases will end in a positive way, but you have to take the good with the bad no matter what job you are in. If I do not get into social work, I would love to go into teaching. Teaching primary school children would be a really lovely and rewarding job to do, I love children and being a part of their development and growth would be amazing. I am currently applying for a programme called Think Ahead, which specialises in Mental Health Social Work training. I am trying so hard not to get my hopes up… but it is something that I would really like to do and it would be a huge step towards my dream job! If I do get through the application process and I am offered a place, I would start my training in July 2019 and I would need to be driving by the time training begins, so I am also currently revising for my upcoming theory test! Once I have my theory test out of the way I am hoping to start driving lessons again, fingers crossed things go to plan. Enough of talking about my career based goals! What about the other aspects of my life? When I look back on my life so far, overall, it is a good life. 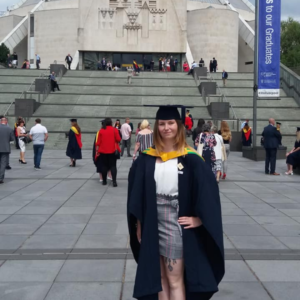 I was lucky enough to go to university, and come out with a Bachelors Degree! I have been on lots of incredible holidays with family, friends and my partner, I have made lots of wonderful memories and have achieved a lot personally too! I have a good, supportive family, a small circle of close friends, adorable pets, and in general, I am in good health too! I have a lot of things to be grateful for, which I often forget about! My boyfriend is also very supportive of me, looking after me when I have bad days and always being there for me to lean on. We have been together for 7 and a half years now and I look forward to seeing what our future holds. We all have bad days… but that does not necessarily mean that we have bad lives. I plan on applying for more jobs in the area that I wish to work in, I plan to continue my blog even when I eventually go into full-time work, I plan on settling down, getting my own house and building a life of my own… but I do not have a set timeline right now. I believe that things will happen when they are meant to happen… yes you still have to put the effort in and work towards what you want, but try not to put a time frame on things, as if for some reason after 3-5 years you are not where you originally planned to be, you will be disappointed and it will set you back and break down your hope! Circumstances change on a daily basis, different things happen when you least expect them, but that does not mean that you are not still heading in the right direction. I know what direction that I want my life to go in and I plan on working hard to reach my destination… but I cannot put a time and date on when I will get there and that is okay! What are you working towards? 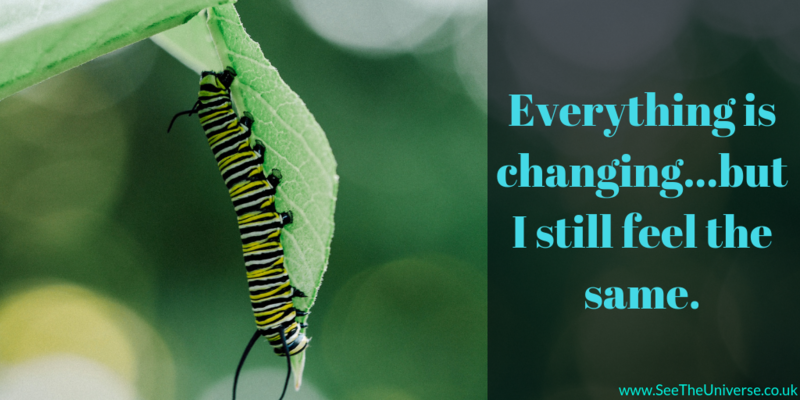 What do you love about your life and what changes are you hoping to make? Let us know in the comments below. 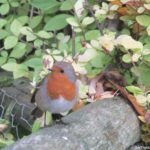 I recently wrote a poem which has a nice Autumn feel to it, so I thought it would be perfect to share it with you all as part of my Blogtober posts. The world seems different now. For the world seems different now. Pumpkin Picking at Windmill Animal Farm! 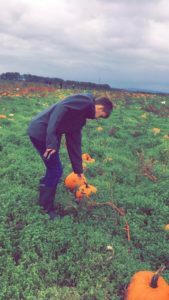 I have never been Pumpkin Picking until yesterday (13th October 2018) at the age of 22. After that, we went to visit the critters… The critters are only at the farm on weekends (unless it is the school holidays then they are there all week! ), so we hadn’t managed to see them on previous visits. There were snakes, bearded dragons, geckos, tarantulas, scorpions and frogs! Those of you who know me will know I am terrified of spiders… but I managed to hold a tarantula… I almost cried in the process… but I DID IT! While we were there we took a walk around the Maise Maze and even had a go on the children’s pedal tractors (big kids at heart!) It was such a lovely day and the staff, as always, were amazing. If you live in the area I highly recommend a visit! We have been a couple of times now and we will definitely be going again in the future! We headed over to the large field filled with hundreds of pumpkins, all different shapes, sizes and colours! We are very glad we brought our welly boots as the field was rather muddy! 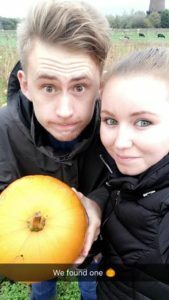 We walked around the field in the search for the perfect pumpkin! 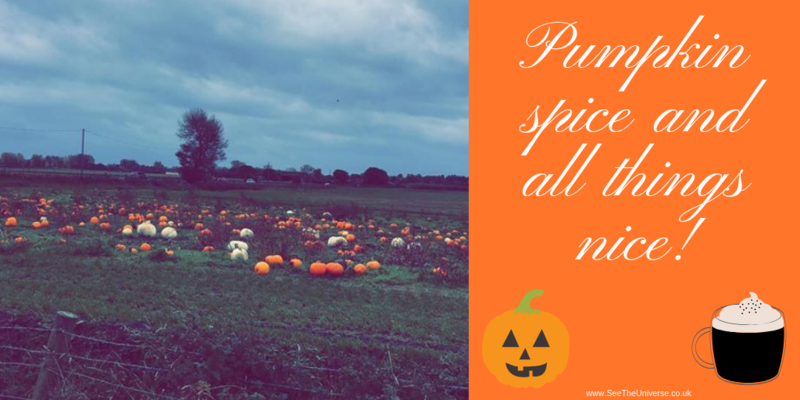 I never thought pumpkin picking could be such fun… I definitely see why families do this every year! I really enjoyed it and we eventually found a pumpkin that we both thought was perfect! 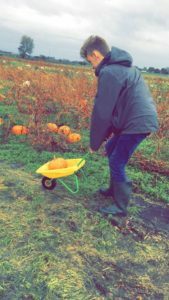 People were walking around with wheelbarrows full of huge heavy pumpkins… and we had chosen a cute little one, so it was only appropriate to use a kiddies wheelbarrow! The pumpkin cost £3.50 (no matter what size!) and we headed home after a lovely day at the farm! One half-price adult with each paying child! Find out more about Windmill Animal Farm on their website here! Is what I see real? the one in the mirror. that it is just a cry for help. The one I wish I could hide. How do they not see the same? They treat me like I’m crazy. I need them to believe me. I know just what I see. the one I see, is me.